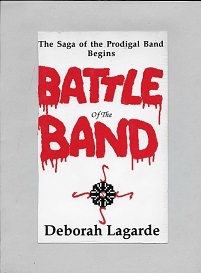 After sending copies of Battle of the Band and the Prophesied Band to various US states including Hawaii (but not Alaska, yet), I have discovered that basic rates for shipping to the various contiguous 48 states and Hawaii (by boat, that is–by plane it would be more expensive, and I do not want to add $3 or $4 more to the shipping cost…the packages they would be shipped in cost a little over a dollar)–that various shipping rates are basically the same, roughly $4.50 whether to Texas, Oregon, New York, or Hawaii. Note: I was shocked to find how cheap it was to send a book to Hawaii! But it did take a while before the recipient got the book. Volcanoes, maybe? Therefore, as one will see on the Bookstore page, all shipping costs for one single book will be $4.50 as long as it is being shipped within the US, and costs for shipping for both books will be $5.00 (since two books are being shipped in the same package). Overseas costs will not change until I determine what the shipping cost to Canada or Europe would be. Keep in mind, both books are in the English language only. Author deborahlagardePosted on June 19, 2018 June 19, 2018 Categories Book advertising, Book Selling, Independent Publishing, Purchase Books!, UncategorizedTags Book advertising, Book Selling, divine intervention, Independent Publishing3 Comments on Good News! This Site Is Succeeding! Welcome to Another Fine Adventure With OmegaBooks! This Could Be It, Folks! So this is what I am doing. WordPress, for some reason–good for WordPress–gave me a free domain, namely, what you see in the URL location atop your browser, ‘omegabooksnet.wordpress.com’ that is a FREE DOMAIN that I can turn into an actual ‘omegabooks.net’ website on WordPress WITHOUT having to pay for the domain again! But I will have to pay the $96 for the Premium plan. Fine. I was going to do this anyway if BlueHost would have done the right thing and allowed the domain to be transferred. 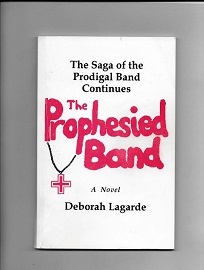 Author deborahlagardePosted on April 13, 2018 April 13, 2018 Categories Independent Publishing, OmegaBooks, The Prodigal Band Trilogy, UncategorizedTags Independent Publishing, OmegaBooks, The Prodigal Band Trilogy1 Comment on Welcome to Another Fine Adventure With OmegaBooks! This Could Be It, Folks!